This article traces the evolution of one of the biggest sporting industries in the world today, all the way back to a tiny competition which took place in Scotland in around the middle of the 19th century. While the game’s exact origins are widely disputed, the act of knocking a ball across a field with a stick, with the aim of getting it into a small hole in the ground seems a characteristically Scottish recreational activity! Gowf, as it was once known, was established in Scotland by around 1457 –at least well enough for it to be formally forbidden because of the fact that it interfered with archery practice. Despite the ban, the game flourished, and history tells us that Mary Queen of Scots was not averse to a game or two, and James VI, who was destined to become England’s James I, was as partial as she. The 1740s saw the Honourable Company of Edinburgh Golfers founded, and the first competition was held at the Royal and Ancient Golf Club of St Andrews took place in 1754. It was, in fact, at St Andrews that the 18-hole format took root, going on to become the established as the correct number of holes a course required. It soon became doable to make a living from golf, and not simply by manufacturing the equipment required for the game. Along with making balls and clubs, teaching players the game also became an option, and the first successful ball manufactures in St Andrews, the Robertson family, was also one of the first golfing pros. While the kind of markets that sports betting NZ sites make available was still a long way off, the concept had started becoming more feasible, and the game was on its way to become the first-rate sports betting option it is today. 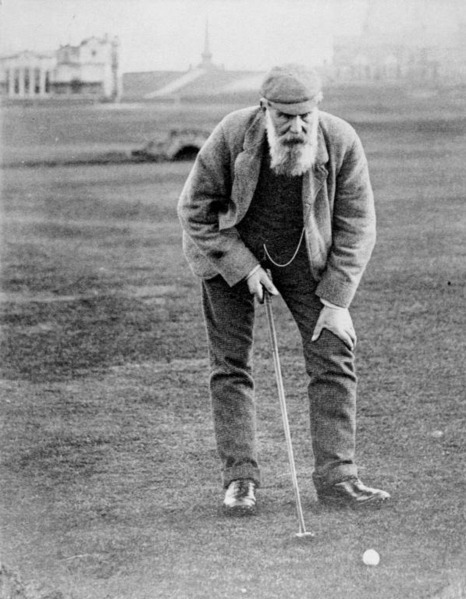 The formidable Old Tom Morris of St Andrews was hired in 1851 to create a course for the then-new Prestwick club on the Ayrshire coast just outside Glasgow. The former Robertson protégé did so, and, in 1860, his creation set the scene for a competition limited to professional players only, replete with a special belt made of red leather and sliver clasps for the winner to take home. The first competition saw eight pro players taking part, and Willie Park Senior won with 174 strokes over the three 12-hole rounds. The following year saw the contest being opened to anyone who was interested, and so began the now world-renowned Open Championships. That year saw Old Tom Morris himself take the first place prize when he beat Willie Parks Senior with four shots for a score of 163. So tight a hold did Old Tom Morris, his son Young Tom Morris, and Willie Park Senior take on the Open Championship that, from the years between 1860 and 1870, there was only one instance in which one of these three players did not manage to win. In fact, Young Tom Morris won the championship belt outright thanks to his taking the title for three years in a row.